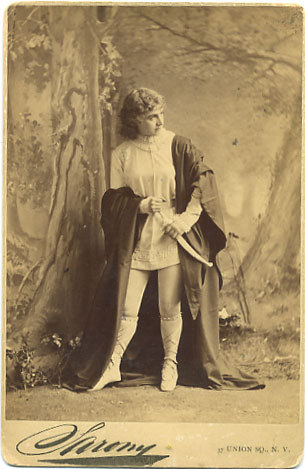 Neilson, Lilian Adelaide (1848–1880): Neilson was the illegitimate daughter of a strolling actress named Brown. In 1865, at Theatre Royal, Margate, she appeared as Julia in The Hunchback, a character with whom her name was long associated. At the Adelphi, in 1866, she played Nelly Armroyd in Lost in London and the title role of Victorine. She also appeared in the 1868-69 season. Her last appearance at the Adelphi was in 1878 when she played Julia in The Hunchback 45 times. She died of a blood rupture at age 32.